The Netter Collection of Medical Illustrations, Dr. Frank H. Netter’s decades of work devoted to depicting each of the major body systems, has been updated and brought into modern context. 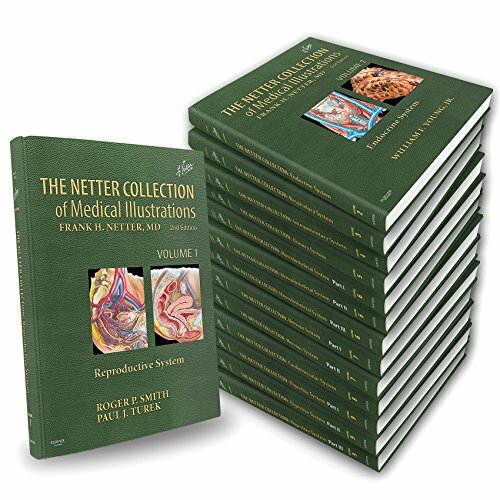 The second edition of the legendary "green books" offers Netter’s timeless work, now arranged and enhanced by modern text and radiologic imaging contributed by field-leading doctors and teachers from world-renowned medical institutions, and supplemented with new illustrations created by master artist-physician, Carlos Machado, and other top medical illustrators working in the Netter tradition. Gain a quick understanding of complex topics―each addressed on 1-2 pages-- from a concise text-atlas format that provides a context bridge between primary and specialized medicine.